14k gold plating and delicate seed beads form these cascading earrings from Area Stars. 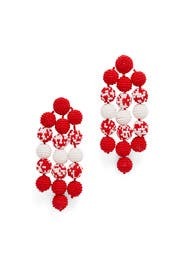 Wear them with a simple neckline and your hair up so they're the stars of the show. 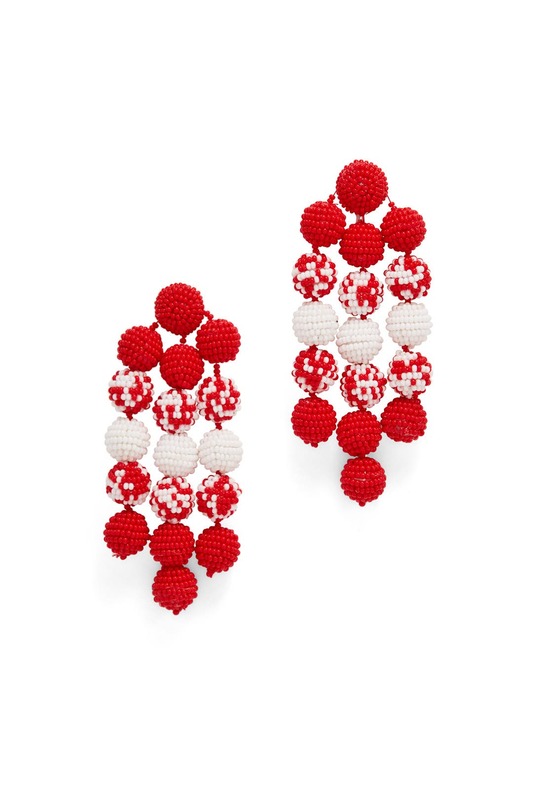 Red and white seedbead statement earrings. Post backs for pierced ears. 4" long.